I hate to say “I told you so”, but … I told you so! Buzz is dead, gone, done for, kaput! Google has finally given up on trying to compete with Twitter, and it wasn’t a day to late. I’ve said, since the first apparence of Buzz, that they would never be able to muster the followers/users to beat Twitter at a game that Twitter pretty much invented. I turned out to be right! I’m not at all surprised. Google has done this many times over the years, but for some reason they never seem to learn. My advice to Google is to simply stick to what they know best, namely Search. They do this well, perhaps best of all, and for that they deserve a lot of respect. Personally, Google’s search engine is the only one I ever use. I might have tried a few others, but non has been as good as Google. The sad thing is, they still try to venture into areas where they have no record of success. Google Plus is the latest venture. An attempt to compete with Facebook. Will they succeed? My prediction is that they won’t! It is as I said … a little sad to see! Ok, I know I’ve been pretty hard on Google in the past about their, if truth be told, poor attempts in the field of Social Media. Buzz, Wave and Google Me come to mind. I would like to ad Orkut to that list, but Orkut is in fact used in some parts of the World, though not widely used. Google’s track record doesn’t exactly speak to their advantage. I fear that Google+ may go the same way. Well, no one has yet use the worn out phrase “Facebook killer”, but this is obviously what Google is hoping for it to be. As usual when Google wants to hause its new product, it’s invitation only. They want us to believe that they have finally created the Social Network to rule them all. We’ll see about that. 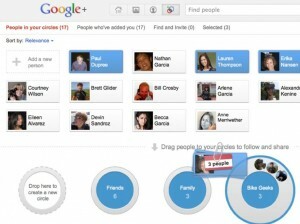 Google+ want to mimic real life, by letting the user create so called social circles. You can for example have a circle for your friends, a circle for your family and a circle for your colleagues. They call this +Circles. This will allow the user to decide what to share with which circle. Let’s face it, +Circles is really the only unique feature Google+ has to offer. It’s the one thing Facebook doesn’t have, but that’s probably just a matter of time. Apart from this, Google+ so far only seems like a poor copy of Facebook. They keep doing the same thing over and over, trying to copy instead of creating something of their own. 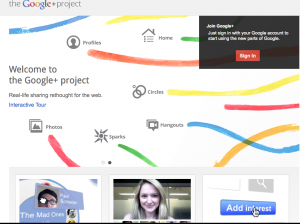 They tried it with Google Wave and Google Me, and now with Google+. It’s simply the same thing with a different name, and perhaps a slightly different look. Google has one big problem as I see it. They are trying to include everything in this new venture … email, search, Buzz (aka Twitter copy) and an online social profile page. They want to not only rule the World, but the Internet too. As a user I don’t want to be forced to use only one service. I want to pick and choose. I may like Gmail, but I may also like Twitter or Facebook rather than bundle everything up into one. Google needs to understand how their users think and work. The answer is, if they keep insisting on having a social network, to create a stand alone social network. 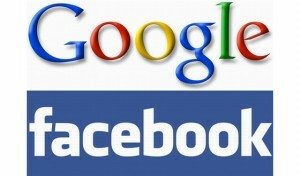 Google will never be able to compete with Facebook if they keep creating chaos.